Below are a few things of interest, what else is happening? Stage Door Players - New Show this weekend. Farm Burger in the Georgetown Shopping Center is now open. Atlanta listed as 5th worst commute time in nation and ranks 9th in people working from home. The City of Dunwoody is in the midst of rewriting our Zoning Code Regulations and one of the issues that we will need to face head on in the coming months is reviewing the "home occupation" regulations. We may want to make it easier to allow people to work legally from their home as long as it is done in such away as to not denigrate the feel of our single family neighborhoods. How can these regulations be softened to match the real world that many of my neighbors are facing today or is this like the proverbial "Chicken" issue where it is better to believe that it is not happening at all? If addressed, this home occupation change would also need to look at the issues of noise, hours, signage, business types and the possible full time conversion of single family residences (rental homes looking for a tenant?) into business locations where businesses were never intended. The article "A Look at Commuting Using the Latest Census Data" on the Newgeography.com website quoted the stats below. I believe that by not accepting the reality that our Atlanta commute times will be getting longer over time as the metropolitan area grows, while also experiencing technological leaps in internet service to allow office work to be effectively done at the home; is like sticking our heads in the sand while forcing those who work from the home to wear a "Scarlet Letter" of being illegal because a customer may stop by to chat from time to time. I don't have all the answers but this is a community issue being worked on by the community at large where everyone is invited to participate in the rewrite of the zoning ordinance. The next meeting is scheduled for Tuesday October 2nd and the meeting will most likely be discussing the 2nd module of the rewrite which is directed at the Administration and Procedures to be followed. If you are interested in working on the rewrite by looking at the broad ordinance or have a single focused change in mind, I hope you come on October 2nd and make your wishes known. Thanks. Approved - Approval of DNR Agreement Amendment for Brook Run Trail Phase 1. Approved - Award of 2012 Sidewalk Construction Contract. Approved - Resolution to Adopt Tree Inventory and Assessment as an Addendum to the Comprehensive Plan. Tabled - SECOND READ: Ordinance to Amend Chapter 24 to Adopt Regulations Governing False Alarms. Approved - PUBLIC HEARING & SECOND READ: RZ 12-091: Pursuant to the City of Dunwoody Zoning Ordinance, Applicant, JW Acquisitions, LLC, Seeks Permission to Rezone Properties Currently Zoned Office-Institution District (O-I) and Multifamily Residential District (RM-HD) to Planned Development District (PD) to Allow for a 16 Acre and 19 Acre Mixed Use Development. Approved - Consideration of Land Development Waiver Request for 1931 Mount Vernon Place. Modified - Consideration of Land Development Waiver Requests for 5352 Happy Hollow Road. Update on Transference of Fire and EMS Calls. Join hundreds of volunteers from several Dunwoody church and community groups on Saturday, September 29 from 8:00 am - 1:00 pm to serve our community. The assembly point is the North Atlanta Church of Christ located at 5676 Roberts Rd just south of Sandy Springs Fire Station #1. Volunteers arrive at 8AM for a continental breakfast and return at 1PM for a BBQ lunch. Projects include painting fire hydrants, clearing park trails and constructing entry ramps for shut-ins. Last year over 700 citizens from our churches and civic organizations volunteered. Free breakfast, lunch and a t-shirt included! PS: we need you at Serve Day, and we also need your tools and equipment. Approval of DNR Agreement Amendment for Brook Run Trail Phase 1. Award of 2012 Sidewalk Construction Contract. Resolution to Adopt Tree Inventory and Assessment as an Addendum to the Comprehensive Plan. SECOND READ: Ordinance to Amend Chapter 24 to Adopt Regulations Governing False Alarms. PUBLIC HEARING & SECOND READ: RZ 12-091: Pursuant to the City of Dunwoody Zoning Ordinance, Applicant, JW Acquisitions, LLC, Seeks Permission to Rezone Properties Currently Zoned Office-Institution District (O-I) and Multifamily Residential District (RM-HD) to Planned Development District (PD) to Allow for a 16 Acre and 19 Acre Mixed Use Development. Consideration of Land Development Waiver Request for 1931 Mount Vernon Place. Consideration of Land Development Waiver Requests for 5352 Happy Hollow Road. 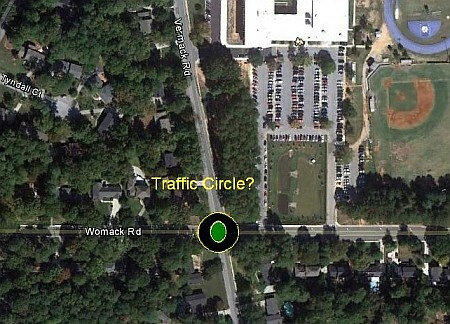 Is a traffic circle at Vermack & Womack the correct solution near Dunwoody High School? Meeting tonight. The public meeting for the Womack at Vermack intersection project is set for this evening, September 20th from 6 to 8 p.m. in the Dunwoody High School cafeteria. The meeting will be an open house style format. I am told there will be two design proposals, a signalized intersection with left and right turn lanes or a roundabout. I am interested in seeing the two drawings as what I personally drew above is definitely not to scale. 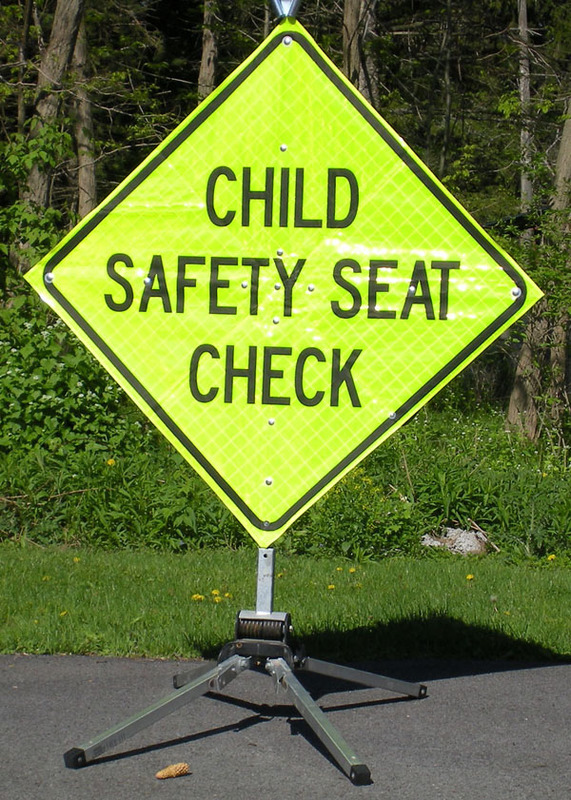 Date: Friday 9/21/2012, 11:30 a.m. - 3:30 p.m.
Dunwoody Police Department announces it will conduct a “Child Safety Seat Check” event on Friday, September 21, 2012, at Dunwoody Baptist Church, 1445 Mount Vernon Road Dunwoody, GA 30338. Certified Child Passenger Safety Technicians will be on hand from 11:30 a.m. - 3:30 p.m. to check car seats for proper installation and advise parents and caregivers how to choose the right car seats and install them properly in their vehicles. This event is free to the public. Motor vehicle crashes are the leading cause of death for children ages 1 to 13. Crash data from the U.S. Department of Transportation’s National Highway Traffic Safety Administration for 2010 shows that about 2 children 12 or younger were killed and 325 were injured each day in passenger vehicles. Sergeant Dove also urges parents to follow NHTSA’s car seat recommendations which recommend parents and caregivers keep children in their restraint types for as long as possible according to manufacturer instructions before moving them to the next type. For maximum safety, a parent or caregiver should have the car seat installation inspected by a certified Child Passenger Safety Technician to ensure their children are in the appropriate seats for their age and size. Children 12 and under should always ride in the back seat. For the best possible protection, your child under age 1 should always ride in a rear-facing car seat. There are different types of rear-facing car seats: infant-only seats can only be used rear-facing. Convertible and 3-in-1 car seats typically have higher height and weight limits for the rear-facing position, allowing you to keep your child rear-facing for a longer period of time. Your child should remain in a rear-facing car seat until the child reaches the top height or weight limit allowed by your car seat’s manufacturer. This may result in many children riding rear-facing to age 2 or older. Once your child outgrows the rear-facing car seat, your child is ready to travel in a forward-facing car seat with a harness. Keep your child in a forward-facing car seat with a harness until the child reaches the top height or weight limit allowed by your car seat’s manufacturer. Once your child outgrows the forward-facing car seat with a harness, it’s time to travel in a booster seat, but still in the back seat. Keep your child in a booster seat until the child is big enough to fit in a seat belt properly. For a seat belt to fit properly the lap belt must lie snugly across the upper thighs, not the stomach. The shoulder belt should lie snug across the shoulder and chest and not cross the neck or face. Select a car seat based on your child’s age and size, choose a seat that fits in your vehicle, and use it on every trip, every time. Download our Child Safety Seat Check INFORMATIONAL BROCHURE. One of my favorites taken at the Brook Run Playground. Click here for proposed 2013-2014 Traditional Calendar. 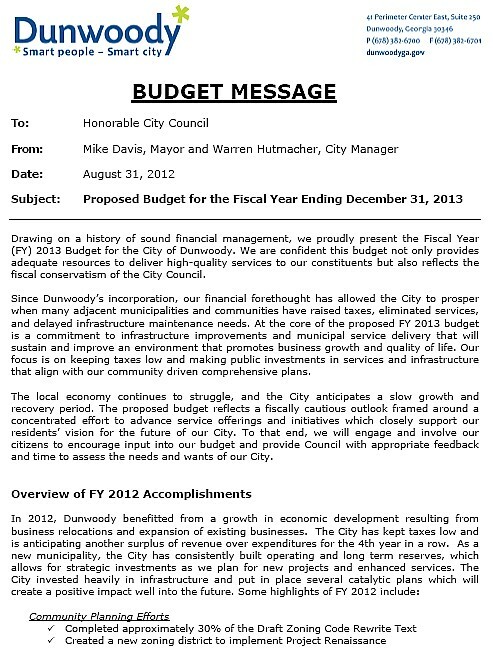 Click here for proposed 2013-2014 Balanced Calendar. The DeKalb County School District's Calendar Committee is soliciting your feedback regarding the 2013-2014 school calendar. Attached are two types of calendars-Proposed Calendar A (a balanced calendar) and Proposed Calendar B (a traditional calendar). The following is a summary of their attributes. 1. number of days in the first semester is 88 and the number of days in the second semester is 92 for a total of 180 days. Please complete the following short survey by selecting a single answer choice for questions 1, 2, and 3 and by adding any comments for questions 1, 2, and 4. In order to ensure that your responses are recorded, be certain to select the DONE button at the end of the survey. Please complete the survey only once. 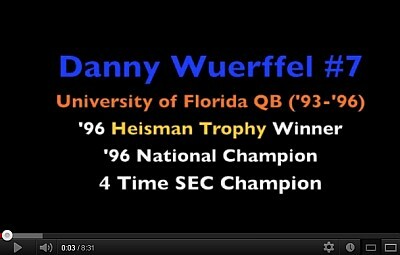 Heisman Trophy winner Danny Wuerffel comes to Dunwoody to tell his story. The entire Dunwoody community is invited to join the Men of Dunwoody United Methodist Church as they welcome Danny Wuerffel as a guest speaker on Tuesday September 18. Fellowship and breakfast will start at 6:30 a.m. and Danny will begin speaking at 7 a.m. Session will end at 8 a.m. so you will have time to get to your office. After winning the Heisman Trophy and a National Championship at Florida, Danny was drafted into the NFL by the New Orleans Saints. He played for the Saints, Packers, Bears and Redskins. Since 2006 Danny has been the Executive Director of Desire Street Ministries. Led by God's heart for the poor, the mission of Desire Street Ministries is to see impoverished neighborhoods become desirable places to live. Cost is only $5 per person. 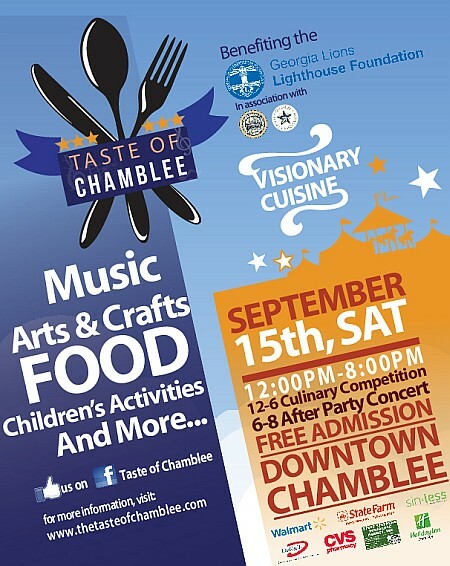 Taste of Chamblee Today - Food and Festivities benefiting the Lighthouse Foundation. The Taste of Chamblee is an annual street festival held in the heart of Chamblee, Georgia. Anchored by the main stage, the festival offers live entertainment, some of the Southeast’s most talented visual artists, and the opportunity to taste the food of 20-30 regional restaurants. This FREE ADMISSION 1-day outdoor event has something to offer for the whole family! Co-sponsored by the Chamblee Business Association, the City of Chamblee, and the Georgia Lions Lighthouse Foundation, this year’s festival promises to be an event not to be missed. 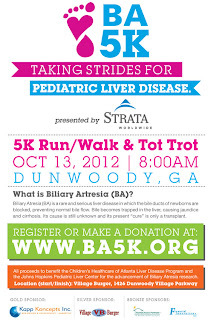 The 2012 BA 5k Run/Walk & Tot Trot (to be held 10/13 in Dunwoody) is now accepting registrations. 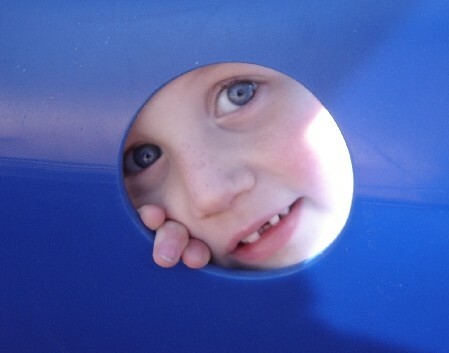 Please join the Moss family as they aim to raise $25,000 for biliary atresia (BA) research. BA is a rare and serious liver disease that affects newborns, including the Mosses four-year-old daughter, Sydney. The cause of BA is unknown and the only “cure” is a liver transplant. All proceeds from the event will benefit the CHOA Liver Disease Program and the Johns Hopkins Pediatric Liver Center for the advancement of BA research. If we can find a cause, we can find a cure! 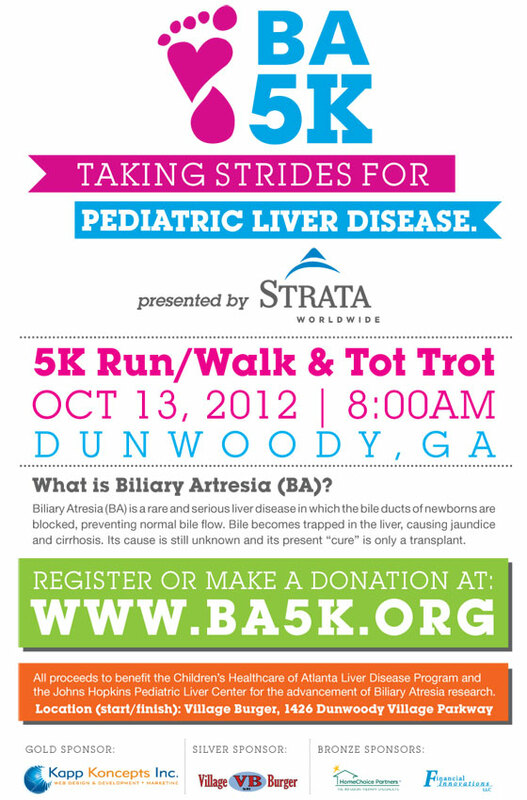 To register or to make a donation, go to: www.ba5k.org. Cost: $25 til October 1st; $30 after that. 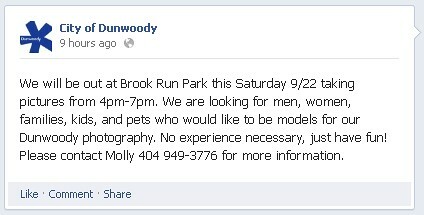 Sponsorship opportunities also available. If we can find a cause, we can find a cure! Update on Zoning Code Rewrite. Acquisitions, LLC, Seeks Permission to Rezone Properties Currently Zoned Office-InstitutionDistrict (O-I) and Multifamily Residential District (RM-HD) to Planned Development District(PD) to Allow for a 16 Acre and 19 Acre Mixed Use Development. Discussion to Grant Land Development Waiver Request for 1931 Mount Vernon Place. Discussion to Grant Land Development Waiver Requests for 5352 Happy Hollow Road. Discussion of City’s Relationship with Affiliated Programming Partners. Discussion of Park Rental Fees. Discussion of DNR Agreement Amendment for Brook Run Trail Phase I. Discussion of 2012 Sidewalk Construction Contract. FIRST READ: Ordinance to Amend Chapter 24 to Adopt Regulations Governing False Alarms. Discussion of Seasonal Concert Series. ACTION ITEM: Project Renaissance - Approval of Revised Intergovernmental Agreement withthe Urban Redevelopment Authority. 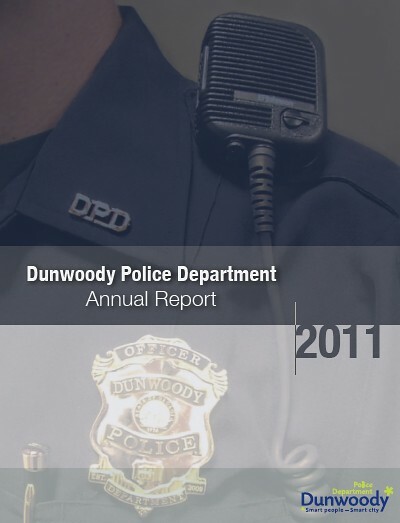 Board of Directors Meeting Sunday, September 9, 2012 @ 7:30 P.M.
Dear Citizens, With another year behind us and a new one underway, the Dunwoody Police Department’s 2011 Annual Report offers context for where we’ve been and where we plan to go next. We are proud to provide our partners and community members with the opportunity to learn about our agency’s work, revisit some important activity from this past year, and look into our future direction. In 2011, the Dunwoody Police Department staff worked tirelessly to build upon those relationships already established while forging new ones. Our Citizen’s Police Academy, Situational Awareness class and Ride Along program continue to have great community participation. In addition, our Neighborhood Watch program is one of the most effective tools we have to combat crime in our neighborhoods. On several occasions this year, citizens reported suspicious activity in their community and we were able to make arrests as a result of those calls. The Dunwoody Police Department continued to provide programs of benefit to teenagers. Our Police Explorer program provides an opportunity for teens to develop leadership skills and a heart for service while learning about what it takes to be a police officer. In addition, our Collision Avoidance Training (CAT) teaches teens safe driving habits. A survey of past CAT attendees completed in 2011 reveal that none of the graduates of the program have received a citation or been involved in an at-fault accident. This is quite an accomplishment! Lastly, our “It’s Party Time, And It’s No Game” drug and alcohol awareness program for 8th graders continues to be a huge success and a sought after class amongst 8th graders at Peachtree Charter Middle School. 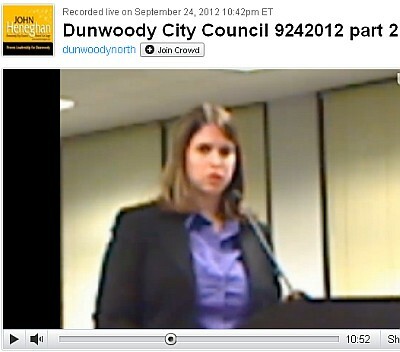 Overall, Part 1 Crime in Dunwoody was flat in 2011 compared to 2010. Our Part 1 Crimes were down .9%; however, our Violent Crimes were down 14.4%, while our Property Crimes were down .1%. We had one homicide in 2011 - the day after Christmas. Our Detectives completed a quick and thorough investigation; arresting a number of individuals including the actual shooter, as well as the person who hired him. In addition, our Detectives were able to secure an arrest warrant against Hemy Neuman for the highly publicized “Dunwoody Daycare Murder” of Rusty Sneiderman, which occurred in 2010. Our overall arrest numbers were down in 2011; however, shoplifting arrests were up 5.3% at 460; drug arrests were up 25% at 205; and wanted person arrests were up 26.6% at 162. The Dunwoody Police Department continues to be a leader in law enforcement’s use of social media. On April 9, 2011, we “tweeted” all of our calls for service for 24 hours straight. This event was well-received and resulted in 800 additional followers for the Dunwoody Police Department on Twitter within one week. 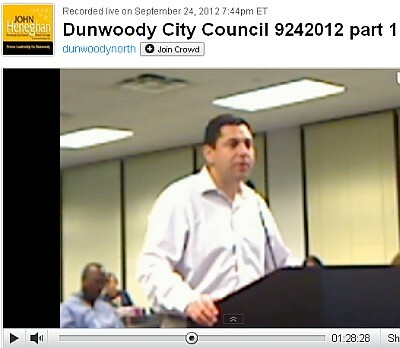 We also engaged our community via social media in our “Dunwoody Dave” photo contest. We had 68 photos of our Dunwoody Dave character submitted by participants and the winning photo was of Dunwoody Dave overlooking Hong Kong. Participation in our Interactive Defense program continues to grow and is widely praised for its ease of use for Vacation Watches. The staff of the Dunwoody Police Department continues to deliver excellent customer service to our community, always conducting themselves in a professional, ethical and compassionate manner. I receive emails, voicemails and verbal communication from citizens weekly about our staff’s positive interactions. I hope you find the information contained in this report useful and relevant. I would like to thank you and the entire Dunwoody community for your support of the Dunwoody Police Department. Please do not hesitate to contact the department if needed, or offer any suggestions for the improvement of the services we deliver.